What is the one thing that ruins a fun afternoon outside with the kids? Mosquitoes and other annoying insects. They bite and simply bother everyone. You certainly don’t want to spray a smelly, sticky, repellent with DEET all over the kids! As a matter of fact, have you ever accidentally licked something off of your finger with that nasty stuff on it? Yuck! I’m definitely not telling you to eat or lick this, but if you want a great, no-chemical repellent, you need to try Proven Repellent. 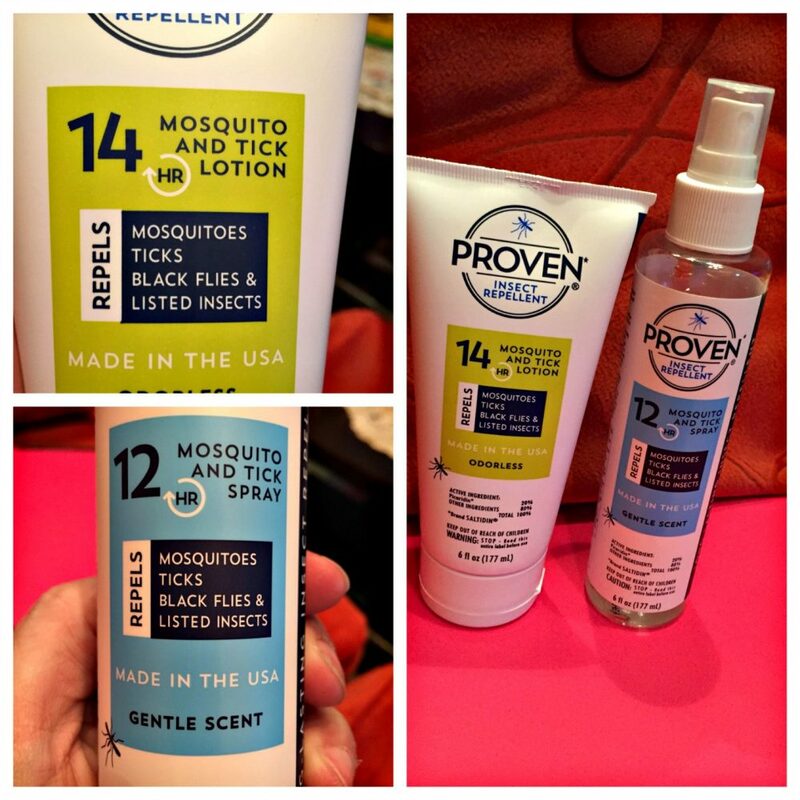 It comes in a lotion and a spray and it can be used against a list of biting insects. You can get Odorless or Gentle Scent. The Gentle Scent smells really nice. Most of us are hoping for the fall season to start very soon. Unfortunately, the weather where I am isn’t cooperating. Every time I go out to mow the grass the mosquitoes are all over me within seconds. That doesn’t make for a very fun outing. I don’t like coming in with bites all over, but I also don’t want to be sticky and smelly from a repellent. I used Proven Repellent a couple of days ago when I went for a walk. I’m pleased to say, it worked great. The active ingredient in Proven is Saltidin, which is recommended by the World Health Organization. There is no worry about using it because it has no toxic pesticides. This is even safe for babies 2 months and older and pregnant women! It is people and planet friendly. I’m sure you have heard of the terrible diseases that mosquitoes carry, but in case you haven’t, here are just a few. They carry Zika, Malaria, Yellow Fever, Dengue, and Encephalitis. We all want to protect our loved ones from diseases, in addition to harsh chemicals. Why use something dangerous that could soak into your skin and enter the bloodstream. That is why Proven Repellent is so important. I like using something that will protect me (and loved ones) from disease, biting insects, and chemicals!